Bitcoin, Ethereum, Litecoin and similar blockchain-based coins have changed the market order in recent years. In this field we are witnessing a real paradigm shift. The Austrian Financial Market Authority (FMA) is receiving wave after wave of enquiries. Different definitions are used both at national and international level in this regard, such as “virtual currency”, “cryptocurrency”, “coin” or “token”. There is currently only a legal definition for the term “virtual currency” (see Article 3 (18) of Directive (EU) 2018/843). Irrespective of the legal definition the term “virtual currency” is currently being viewed critically. Recently the term “crypto assets” has been used as an umbrella term for the terms mentioned, including in this article. More general information and consumer information can be found in the FMA Focus. The European Banking Authority (EBA) made consumers and supervisory authorities aware of the risks relating to the purchasing, holding or trading in crypto assets in December 2013 and in July 2014. (see: EBA warns consumers on virtual currencies and EBA proposes potential regulatory regime for virtual currencies). On 19.06.2018 the Directive amending the 4th Anti-Money Laundering Directive (the “5th AMLD”) was published in the Official Journal of the European Union. 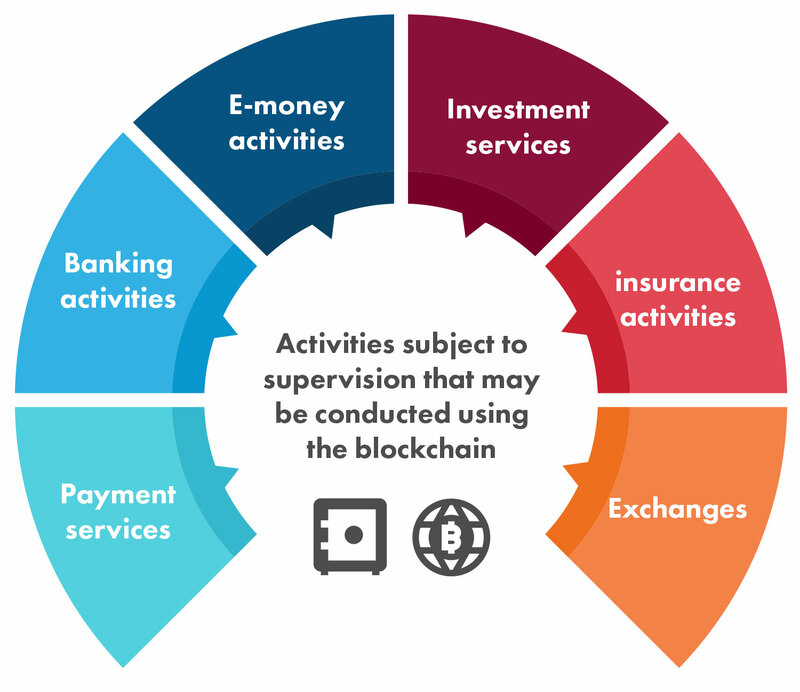 The 5th Anti Money Laundering Directive contains definitions for the terms “virtual currencies”, “providers engaged in exchange services between virtual currencies and fiat currencies” and “custodian wallet providers” The scope of application of AML/CFT rules is extended to include so-called “wallet providers” and platforms for exchanging virtual currencies, and such providers are required as (new) obliged entities to meet the due diligence obligations for the prevention of money laundering and terrorist financing. Furthermore the mandatory registration of such service providers is stipulated. For example, the receiving of funds from other parties for the purpose of management or as deposits (deposit-taking business), provided that the activity is conducted on a commercial basis, constitutes a banking transaction pursuant to Article 1 para. 1 no. 1 of the Austrian Banking Act (BWG; Bankwesengesetz). The management aspect may also exist when funds are invested in a crypto assets. Example: Company A collects funds from the public, to then invest them in accordance with its own discretion in crypto assets. The repayment claim of the investor is based on the performance of the investment. Furthermore, it is also not possible to exclude the obligation to hold a licence in accordance with the Alternative Investment Fund Managers Act (AIFMG; Alternative Investmentfonds Manager-Gesetz). Where capital is collected from a number of investors, which is then invested in crypto assets in accordance with a defined investment strategy, and the benefit, i.e. the profit, is passed on to the investors, then there are good grounds to suggest that an alternative investment fund (AIF) exists. Example: Investors hold a stake in a company with the legal form of a GmbH & Co KG. The investment is arranged in a binding manner in crypto assets in accordance with a procedure developed by the founders. The investors share in the returns of such investments. The obligation to publish a prospectus in accordance with the Capital Markets Act (KMG) may also exist. In the event that investments or securities are publicly offered in a company investing in crypto assets, then the obligation to publish a prospectus is generally to be assumed; the same applies to funds being invested in a risk-sharing group. Example: Issue documents are published on the Internet for holdings in a GmbH & Co KG. The business activity of this company is intended to consist in operating a server farm for bitcoin mining. Online platforms for purchasing crypto assets, that also settle payments in Euro, may in turn be subject to the obligation to hold a licence under the Payment Services Act 2018 (ZaDiG 2018; Zahlungsdienstegesetz 2018). Example: Company B operates a platform on which customers may exchange their crypto assets, and settles the paying out of the purchase price in Euro using its own accounts. Business models are therefore always to be checked on a case-by-case basis. The Austrian Financial Market Authority (FMA) therefore recommends prior to commencing a business activity to submit an enquiry to the specialised FinTech Point of Contact. There are various ways to buy and sell crypto assets. They may, for example, be bought and sold using online exchanges, trading platforms or from vending machines. The mere buying and selling of tokens similar to Bitcoin in one’s own name and on one’s own account generally does not trigger the obligation to hold a licence. However, the buying and selling of crypto assets may form part of business models that do require a licence. It is possible to buy Bitcoins from so-called Bitcoin vending machines (“one-way vending machine”). Bitcoins can be purchased from a one-way vending machine, and are then transferred directly to the customer’s wallet using a QR code. Some vending machines also offer the option to sell Bitcoins (“two-way vending machine”). In this case, Bitcoins can be sold from the customer’s wallet to the operator of the Bitcoin vending machine using a QR code. In return the customer is paid out in cash. Due to the fact that there is no issuer, Bitcoins are not subject to supervision by the FMA. The mere buying and selling of Bitcoins using a Bitcoin vending machine is therefore not generally subject to the obligation to hold a licence. However, the operation of a Bitcoin vending machine may trigger the obligation to hold a licence depending on the specific design of the business model. The emptying of the Bitcoin vending machine (for someone else) and subsequent transferring of the money contained therein to a third party may trigger the obligation to hold a licence under the Payment Services Act 2018 (ZaDiG 2018; Zahlungsdienstegesetz 2018), such as for money remittance business (Article 1 para. 2 no. 6 ZaDiG 2018). The following statements also apply for the mining of crypto assets other than Bitcoin, provided that they are designed in the same way as Bitcoin. Generally speaking merely mining Bitcoin in one’s own name and on one’s own account does not require a licence. Nevertheless, the FMA would like to highlight that business models that include participation in the mining process of crypto assets like Bitcoin, depending on the specific design in the case in question, could constitute an activity that requires a licence. In particular business models that involve the mining of cryptocurrencies, where they otherwise fulfil the criteria of an AIF, may fall within the scope of application of the Alternative Investment Fund Manager Act (AIFMG; Alternative Investmentfonds Manager-Gesetz) (FAQ 2018 on the Application of the AIFMG (currently in German only)). On 19.06.2018 the Directive amending the 4th Anti-Money Laundering Directive (the “5th AMLD”)was published in the Official Journal of the European Union. The 5th Anti Money Laundering Directive contains definitions for the terms “virtual currencies”, “providers engaged in exchange services between virtual currencies and fiat currencies” and “custodian wallet providers”. The scope of application of AML/CFT rules has been extended to cover “wallet providers” and platforms for exchanging virtual currencies. Such (new) obliged entities are required to comply with the due diligence obligations for the prevention of money laundering and terrorist financing. Furthermore, the mandatory registration of such service providers (platforms for exchanging virtual currencies) and providers of electronic wallets is stipulated.